On the second day of the 2013 U18 European Championship for Women Division A, 10 teams qualify for the second round while two teams already bid farewell to the title chase. The first two rounds of the competition are really about retaining Division A status. The title chase only starts for the eight teams that qualify for the quarter-finals. Until a quarter-final place is assured all 16 teams are in the relegation battle. The defeats for England and the Slovak Republic on day 2 eliminated from challenging for the title. Instead they are the first teams to qualify for the 9th - 16th place qualification round. The last two places for the second round go to winners in the matches between Turkey and Belarus in Group A and Portugal and Greece from Group C.
Spain beat Russia in the big match from Group B (71-62). For the second day in a row the Spanish duo of Leticia Romero and Ariadna Pujol were on form. They both netted 19 points. Daria Kolosovskaia knocked down 20 points for Russia. Despite the defeat Russia are assured a place in the Second Round with Spain. Croatia's first quarter (21-7) performance was enough to give them the edge against England as they went on to record their first victory of the European Championship (68-47) and the qualification for the next phase. Klaudia Perisa helped herself to a double-double of 16 points and 10 rebounds in the victory. Shequila Joseph led the English attack with 20 points. Sweden do not score a lot of points but concede much less as they advance to the next round after seeing off Group C rivals Greece (49-40). Sweden edged in font late in the first quarter and stayed there the rest of the way. Veronika Mirkovic was the hero for Sweden with her 12 points and 13 rebounds. Serbia join Sweden in the Second Round after getting past Portugal (54-45) in a yo-yo match. Serbia led by 12 points early in the second, only to trail by 2 points by the end of the third quarter. Serbia were saved during the last quarter by Aleksandra Crvendakic who scored 14 of her team's 21 points. She finished with 22 points and 15 rebounds. In Group A, the Czech Republic and the Netherlands secured their place in the Second Round with victories against Belarus and Turkey respectively. The Czech Republic made light work of Belarus (81-36). Sarah Berankov and Mariana Opocenska led a balanced offensive effort for the Czech Republic with 13 and 12 points each. The Netherlands dominated the first quarter (19-4) against Turkey and then paced themselves the rest of the way (68-41). 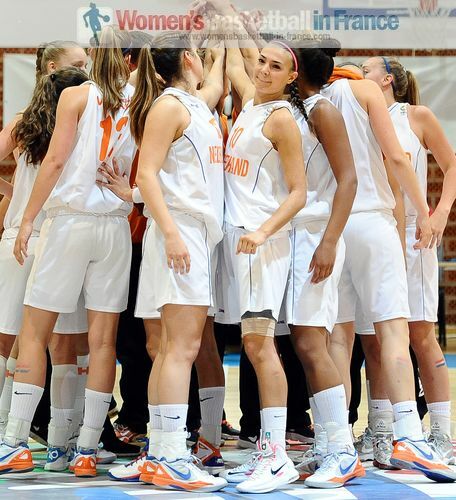 Klaziena Guij went 5-of-8 from behind the arc to lead the Netherlands with 18 points. The Netherlands and the Czech Republic will face each other in the last group game to determine which team will take maximum points into the next phase. For the first 20 minutes France were on fire against Italy and went into the locker room leading (40-19). Italy were better in the second half of the match but the damage had already been done. 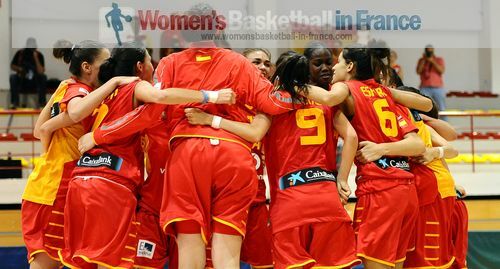 France won (71-55) and Marine Johannès was the player of the match with 19 points, 2 assists and 3 blocks. Slovenia with Eva Lisec (23 points, 11 rebounds) on fine form powered their way past the Slovak Republic (63-41) and into the second round with France and Italy.